We lowered Rowan's crib because she started pulling herself up. I finally went through and organized all of my jewelry. 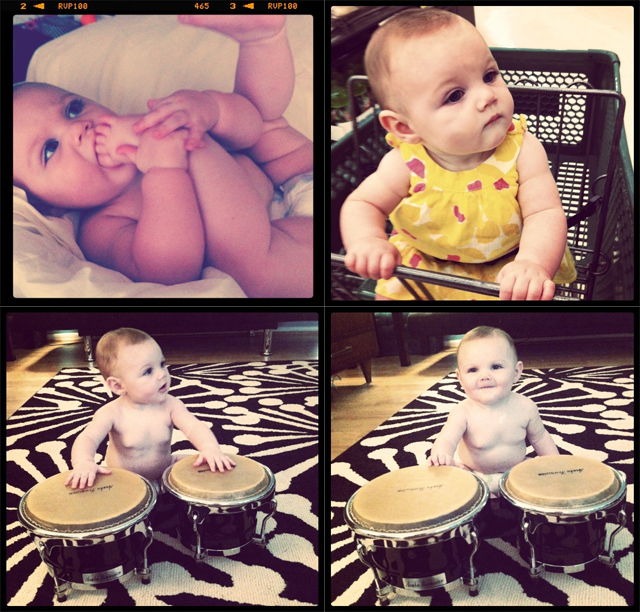 Then Rowan played with some of it..
Rowan eating her toes, sitting in the grocery cart like a big girl & playing the bongos. We had a last minute game night and ordered pizza/wings, played Harry Potter Clue, Uno & Scattergories. My outfit the other day. Yesterday morning followed by lunch at Downbeat Diner and a sleepy babe. Rowan in the sunglasses. I. Die. Scattergories! I forgot all about that game. It is now my mission to assemble a group of people to play it with. your baby always looks SOOOOO happy in every picture you take!! and that last one with her eyelashes?? OMG!!! My ovaries right now are just sooo upset i'm having a boy!!! She's just so precious looking! Harry Potter Clue?! Was it Snape in the Requirement Room with the Sword of Gryffindor? Lovely weekend! 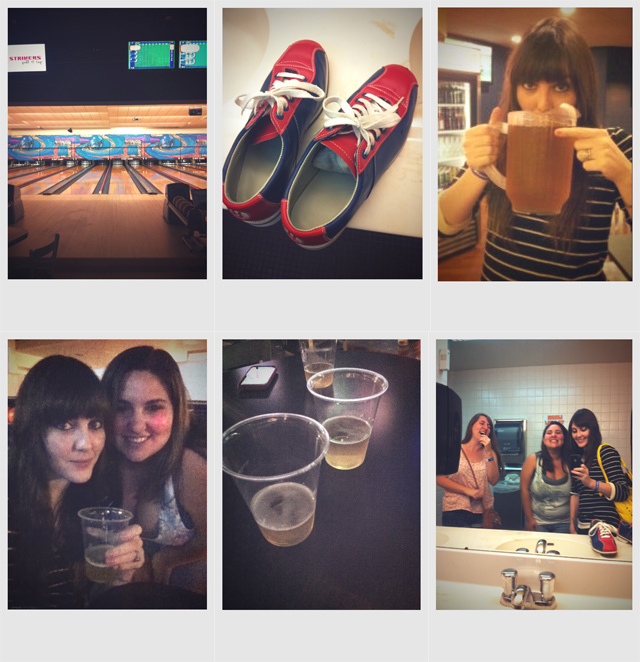 What app are the bowling photos taken with? 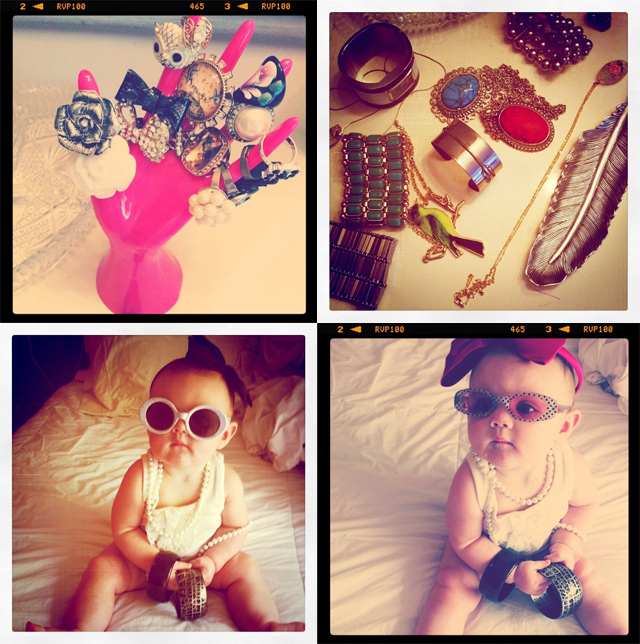 those pictures of Ro playing dress up crack me up she is so edible! Rowan is too cute, I think I say that all the time, but its true lol. 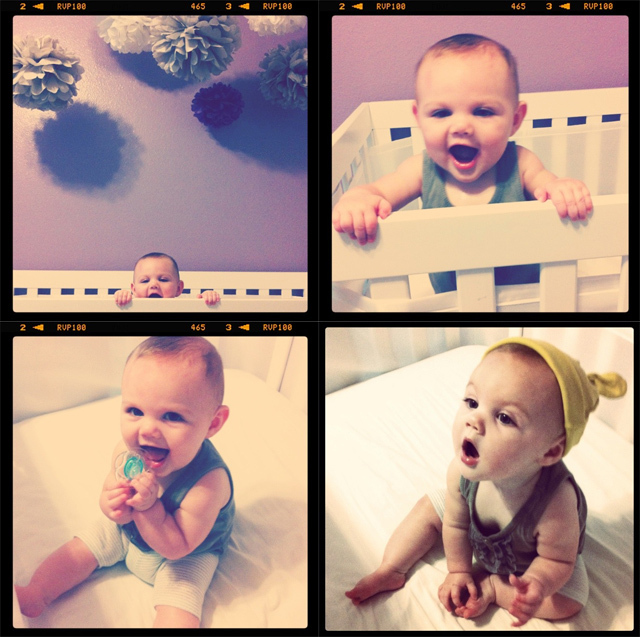 I remembered when we lowered Alyson's crib, I just about cried haha. your daughter is so beautiful! And it looks like your post-birthday week was wonderful! the very last picture on the right is DARLING. It makes me so happy to see all the fun your little family has together - I have a 3 week old little baby girl and hope to maintain an active, fun life with the little one. Hi, I am a new reader and really enjoy your blog. Love the pictures of Rowan playing dress up! she is way too adorable with those sunglasses on. beautiful photos as always! what kind of program do use for your pictures? 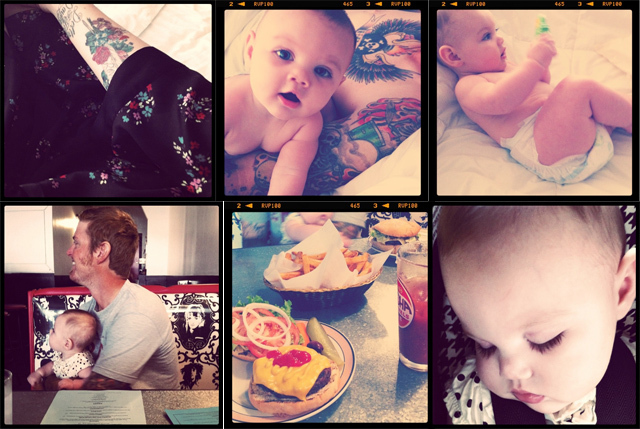 what kind of app did you use for Ro's first pictures? 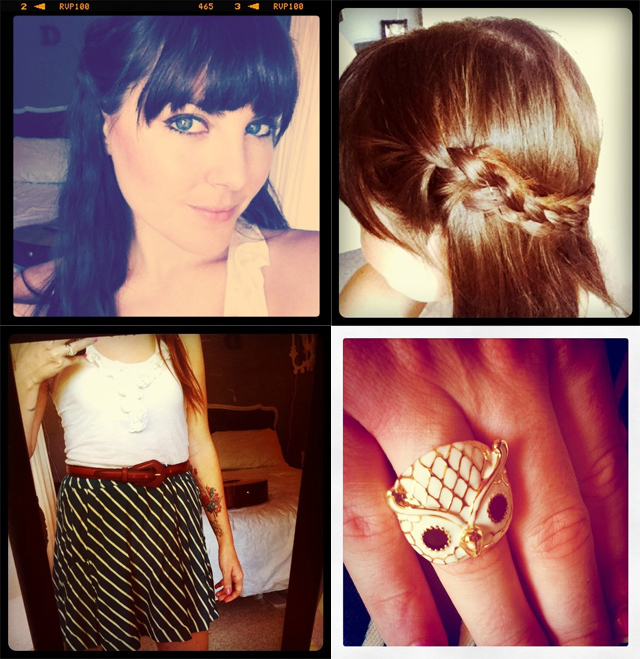 I found your blog through Little Chief Honeybee, and I'm glad I did, it's so cute! Plus, I have that owl ring too! I'm pretty obsessed with animal jewellery, I have quite the collection!